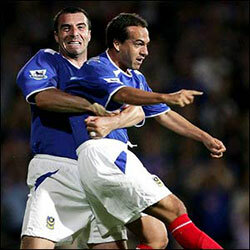 Story has always been about people together. Stories engage us. They inform us. They enlighten us. As long as there are people, there will be stories. And as long as there are ideas to share, there will be storytellers. 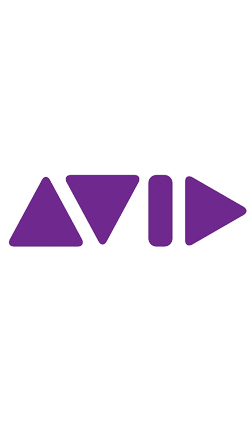 At Avid we help creators tell their stories. Behind award-winning films , videos, music recordings, TV shows, live concerts, and news broadcasts is Avid Everywhere, — the tools needed to create, manage, store, distribute, and monetize content. 3Designer enables content creators to produce graphics from simple lower thirds and charts to interactive graphics and complex virtual studios. 3Designer offers a user friendly authoring interface, extensive animation and data handling capabilities, Windows preview with 4:3 / 16:9 work areas, Stereo3D support and more. 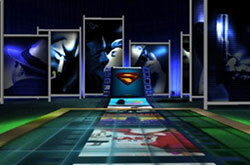 3DPlay provides a perfect solution for any type of channel branding and complex studio graphics productions. With 3DPlay, the operator selects the relevant graphic and populates it with data, previews it on his local PC and then publishes it to the automation or traffic system by dragging and dropping the selected combination. 3DWeather enables the creation of realistic and captivating real-time 2D and 3D representation of weather forecasts. Weather data can be presented on 2D and 3D maps in real-time. Real-time fly-by graphics, which allows a virtual camera to fly over 3D terrains add substantially to the weather show. AE-GFX Manager manages efficiently the rendering and cueing tasks for Adobe®’s After Effect® compositing application. 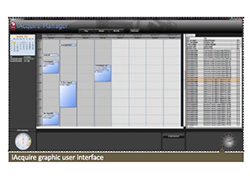 With Avid’s AE-GFX Manager solution, operators can easily convert an After Effect® project into a template that will enable the user to control the project and send other parameters such as the show’s title, air date, time, and all other prevalent information into the After Effects® project. 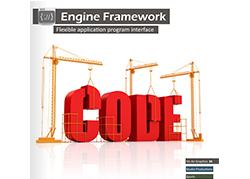 Avid’s Engine Framework is a software developing environment that broadcasters can use to create dedicated control applications for specific productions. While production demands grow rapidly event by event, there are situations where ‘off the shelf’ controllers do not meet production's needs. 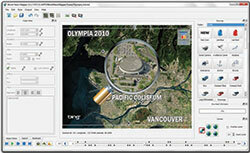 Maestro's complete on air graphics suite provides a solution for any real-time and post production graphic need. It offers an advanced graphic asset management system, a solid playout interface and integration with commonly used newsrooms, NLE, automation and traffic systems. 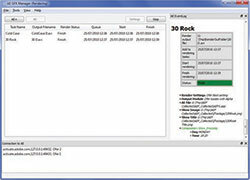 Morpho is a powerful 3D Character Generator with a user oriented authoring and playout interface. It features 2 live video insertions, video clips playback, retrieves data from external data source, and renders graphics to video files to be used in post production environments. 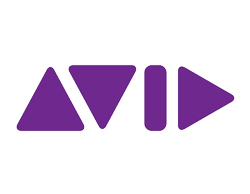 As more radio stations are broadcasting over the Internet and DTT channels to increase their audience and advertising revenues, Avid has developed a complete solution which visualizes radio programing by broadcasting the radio talent, real time 3D graphics, and promos as a multi camera production. 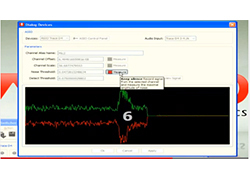 RadioTV is completely automated and relies on unique audio detection software to identify the talent’s voice and determine which camera should be on air. Camera switching does not require human intervention and the existing workflow is maintained without any additional costs. RadioTV offers a complete set of 3D graphic templates including supers, titles, logos, promos and other elements and supports the playback of full frame videos, opening new revenue streams from advertising and sponsorships. With Stereographics, the broadcaster has full control over the depth dimension of the graphics and the key stereo parameters can be adjusted in real time. Stereographics can use existing 3D graphics, comes with two linear keyers, maintains existing workflow and allows for stereo preview. WorldMapper is an intuitive, up to date, maps visualization tool with access to Microsoft’s ‘Bing’. 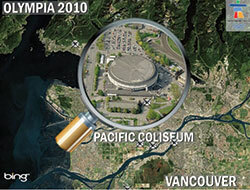 WorldMapper n comes with easy to use editing and compositing capabilities enabling the user to add text explanation, icons and images, change the maps and labeled locations, and zoom in to street level resolution, all using a sophisticated time line. 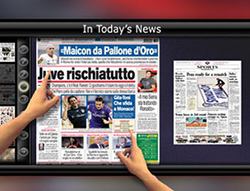 Interact enables television presenters to control the content and flow of the production from their touch screens. 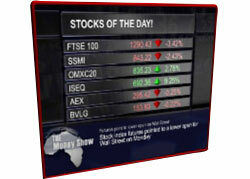 Interact supports single, dual and multi touch displays from a variety of manufacturers. 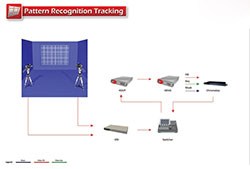 Based on proprietary algorithms, the camera’s position, orientation and field of view are extracted from the video signal itself, eliminating the need for tracking equipment to be mounted on the camera. PowerWall provides 4K resolution graphic content for video walls from a single box. Broadcasters can zoom in on the video wall without the graphic content becoming pixelated. All elements remain synchronized across the video wall. ProSet includes an extensive shader and particles package, and relies on Avid’s reliable and redundant HDVG video graphic platform. ProSet integrates with all types of tracking methods available on the market today, providing maximum photorealism. RealSet integrates 3D virtual objects and animations to any location, including conventional studios and outdoor productions. Regardless of the camera movement, the virtual object remains tied to its position as if it were a real object. 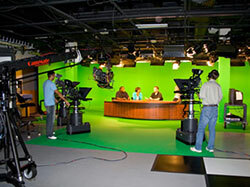 One of the key tasks in today’s live productions such as news, sports and studio shows is handling multiple live video boxes. Typical formats include the 2-box (e.g. news anchor plus one remote guest), 3-box, 4-box and even 5 or 6 boxes are becoming popular. These screen layouts are usually built using a process involving the assignment desk, production switcher, multiple DVE channels, character generator and video server. Such on air presentations are labor intensive and require close coordination between a significant number of operators and devices. The production is becoming even more challenging in dynamic scenarios that require instant switching between video sources and immediate changes to the video box’s layouts. TD Control was designed to better handle such workflows. 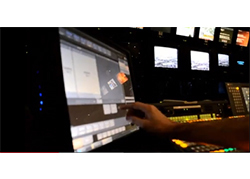 TD Control converts the complexity of the existing workflow by consolidating all tasks into a single user interface while enhancing the on air look. TD Control allows the Technical Director (TD or vision mixer operator) to call up different video box compositions with a click of a button on his video switcher. 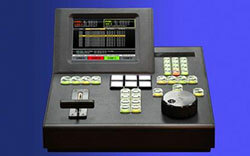 TD control is based on a touch screen user interface which resides in the switcher. TD Control allows the TD to select the different video box compositions and assign different video sources to each of the video boxes, enabling tasks that could not have been achieved before like switching on air from 6 video sources to completely different video sources with one click of a button. 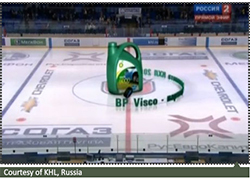 As soon as the video box combination is selected and the video sources are assigned, the preview channel is instantly updated and with a single key stroke the layout goes on air. 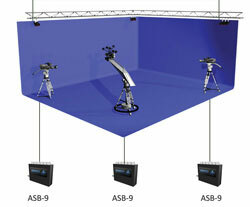 Based on infrared tracking, Xync offers free movement within the studio including dolly, crane and handheld, providing a perfect solution for dynamic and sophisticated virtual studio productions. 3DReplay converts key events from video to a 3D graphic model in HD quality that can be viewed from any angle. 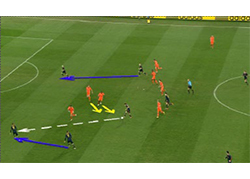 With 3DReplay one can view the event from the eyes of the goalkeeper or the referee; get a tactical top view; and mark players, draw trajectories, and measure distances. 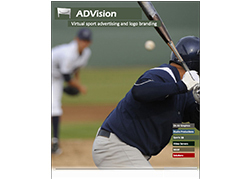 Based on revolutionary patented image analysis camera tracking technology, ADVision allows real-time insertion of full motion virtual advertisement on any kind of sport, from the venue or from the studio, without camera sensors. 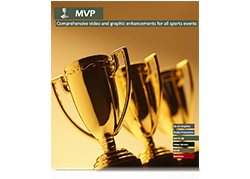 MVP provides captivating visual tools for creating unique content to better visualize critical plays and the flow of the game. 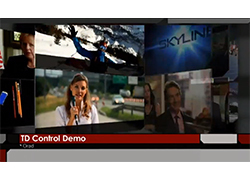 With its full graphic authoring tool, broadcasters can create their own unique look and feel, or choose from MVP’s advanced graphical enhancement features. 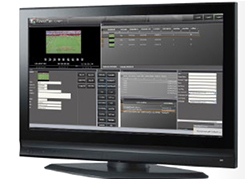 PlayMaker provides high quality synchronized replay and smart editing tools for game highlights. With its 8 channels, super slow motion support, huge ingest capacity, and compact 3U chassis, PlayMaker will reduce the production cost without any compromises. PowerPlay is a turnkey solution that can manage sports productions from ingest, through instant highlight editing, to dedicated sport media asset management, for a fast turnaround production environment. 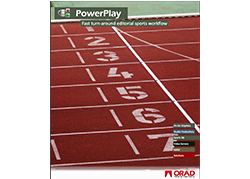 PowerPlay is designed to provide a complete solution for large scale sporting events, focusing on fast turnaround and advanced data management tools. 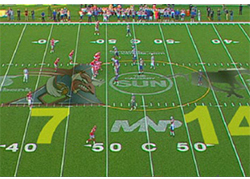 TrackVision uses revolutionarily tracking technology to superimpose virtual graphics over the playing field. 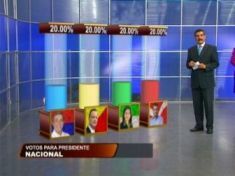 The overlaid graphics remain tied to their exact position regardless of camera motion. 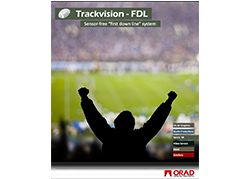 TrackVision provides perfect results regardless of venue, camera positions and angles, and weather conditions. iAcquire provides a range of features to ingest content to video server systems from VTR, live source, XDCam disc or by file import. With process orientated user interfaces for supervisors and operators, iAcquire allows automation of routine tasks whilst retaining the flexibility to make last minute changes and start instant recordings. 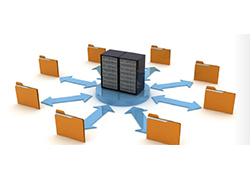 iFind is a sophisticated Media Management solution which provides the user with the ability to manage the essential elements of a complete broadcast server, graphics and archive system from a web browser. 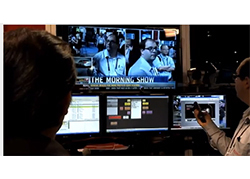 Powerful search, workflow and management functionality is available and can be tailored to a station’s individual requirements in order to maintain a smooth day to day operation and to reduce the media management overhead, bringing a fast return on investment. 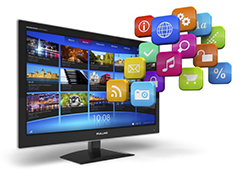 iFind’s Web Client enables the user to search, browse, manage and even move media from any web browser on any desktop, anywhere in the world. Sophisticated but simple to use, iFind Web Client can help one find media and other assets quickly and efficiently, update records, view and edit proxy video and create new EDLs right from his desktop. iFind Web Client provides complete multi-media access for journalists, editors, librarians, archivists and anyone else who needs to find content whether it be video clips, pictures, scripts or PDFs, quickly and easily. 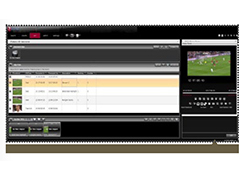 iLogger provides the broadcaster, post production company, archive or media host with media tagging on acquisition or on viewing so the application can be used equally well to manage the incoming feed of a live event, or post-match analysis . The logging application gives an operator the ability to tag an incoming live feed or feeds with event specific metadata which is validated before use, in order to eliminate spelling errors in a high pressure production environment. 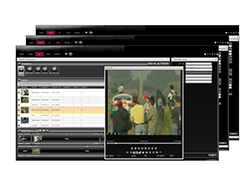 Designed to be used in a studio gallery or outside broadcast unit, iLogger maintains the metadata with the media long after the live event has ended. By tagging the incoming media with event specific metadata the process of searching for appropriate post-record material is made more accurate. Finding material for a highlights package; searching for alternative takes; fast review of ‘points of interest’ within an event is easily achieved with iLogger working in conjunction with iFind MAM. 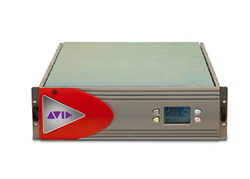 Based on Avid's proprietary i/o board, the HDVG provides full HD/SD capabilities, up to 12 video inputs in SD or 6 in HD hot swappable power supply, Raid based storage for video clips playbacks in different formats, mechanical and software bypass, and embedded audio support. 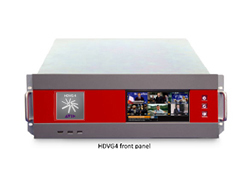 The HDVG+ is a native 64-bit system which offers significant processing and rendering power enhancements in a 3 rack unit chassis. 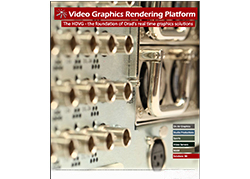 As a successor to Avid’s widely adopted HDVG platform, it provides high level rendering with a variety of video I / O options. Taking advantage of the HDVG I / O board, it can introduce up to 12 live video feeds into the graphic scene in SD and up to 6 in HD as well as playback a wide range of video clips in different formats and resolutions. Additionally, it is equipped with an embedded downstream keyer, video delay and 16 channels of embedded audio support. The HDVG+ runs on the virus free Linux operating system and for redundancy offers hot swappable dual power supply, mechanical and software bypass as well as Raid protected storage. 2012 Alen Elektronik Cihazlar Reklamcılık Filmcilik Tic. ve San. Ltd. Şti.